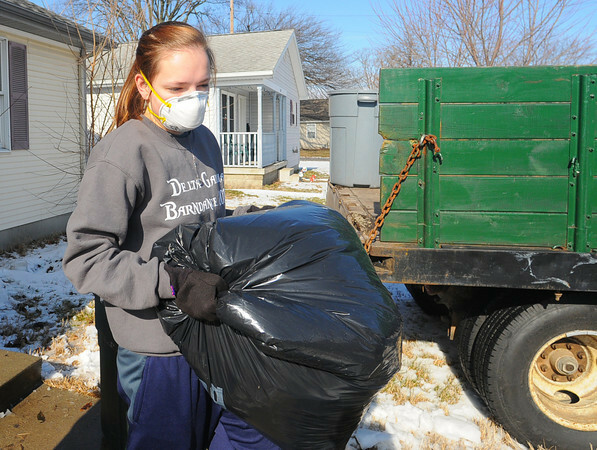 Cleaning up: Indiana State University freshman Paige Clouse carries a bag of clothing from the Habitat for Humanity home on Terre Haute’s south side. A large group of volunteers made trip after trip into and out of the house with clothing, furniture and assorted trash. The effort was part of the school’s Martin Luther King Jr. Day of Service.